Building this event space was a labor of love. From the stones stacked around the fireplace, the antique door leading to the bridal suite, and the wood planks that make up our walls--every detail has a memory and a story. 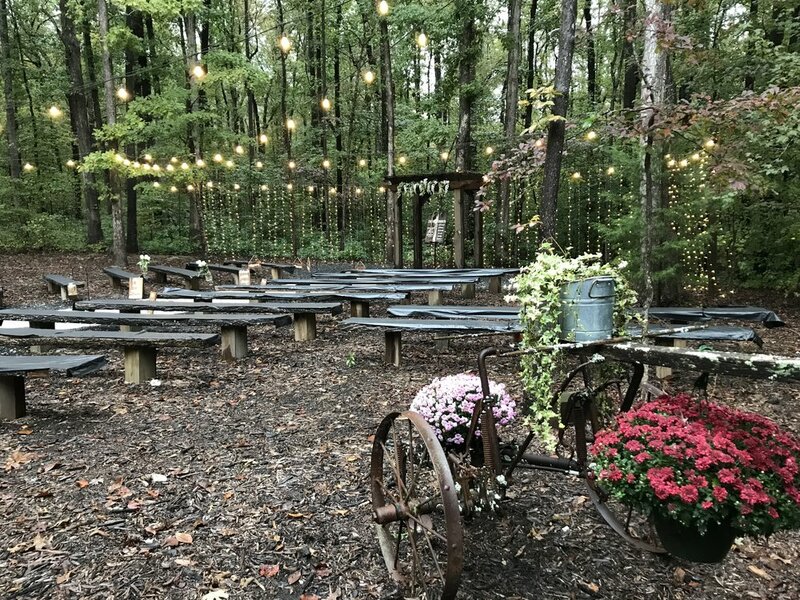 We built this space for our daughter's wedding. Now, we're ready to share it with you. 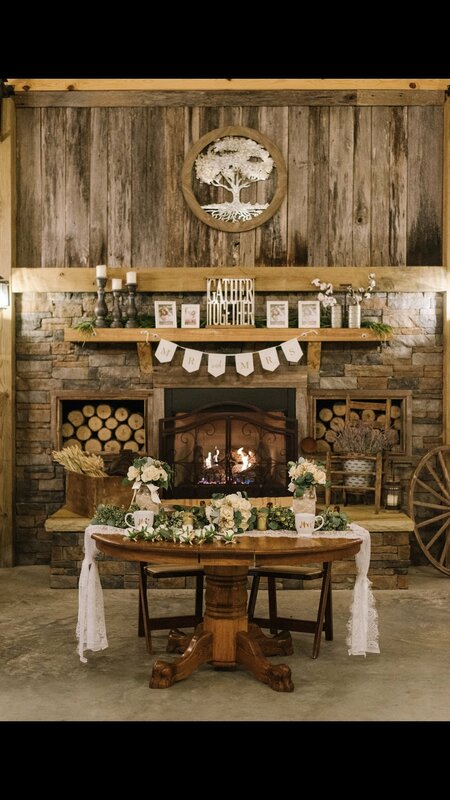 Our spacious barn features a gorgeous stone fireplace, twinkling chandeliers, flowing-white curtains, a private prep area for your caterer, bathrooms for the guests, and an open loft for additional space to use however you want. Separate groom and bridal suites also are available for both parties to get ready in the barn on your wedding day. A view of the barn from the loft. Swooning over this backdrop for a first kiss as Mr. and Mrs. This cozy gas fireplace is a great place for conversation or a beautiful backdrop for photos. Our wagon is the perfect cake table for your wedding, shower, or birthday cake. This door looks like it came straight out of a fairytale, leading into the bridal party's dressing room.